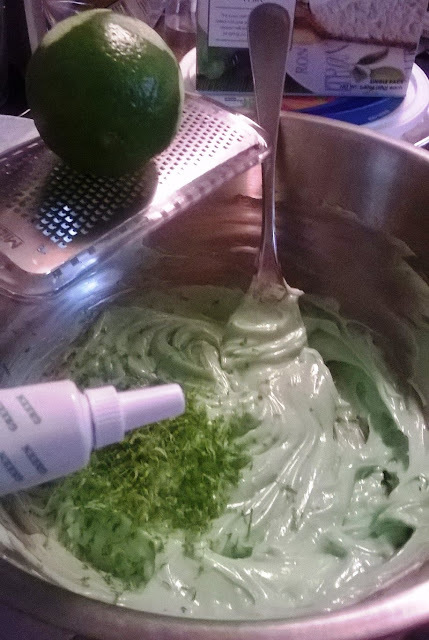 Mix room temp cream cheese with key lime cheesecake mix till thoroughly combined, I added the lime zest and a few drops of green gel food coloring then fold in the whipped topping. Once evenly combined, In a separate bowl, melt 5 tbsp. butter and combine with graham cracker crumbs, sugar and zest (optional). I spooned the crust mix into mini pie tins, using an ice cream scoop popped one in each and flattened with the back of a spoon. Anyone notice the photo bomber in the background? Topped off each little beauty with a quarter of a lime slice that was dipped in sugar in the raw. Refrigerate to let them setup and serve cool. All that's left is to ENJOY! Finger licking is allowed.